A seventeen-year-old youth hailing from Haridwar was killed while 32 others received injuries in a grenade attack at crowded bus stand in Jammu on Thursday around 11.45 am. Addressing a Press conference in the evening, IGP Jammu MK Sinha said Yasin Javid Bhat was nabbed by a police party at toll plaza in Nagrota of Jammu for the terror attack. Bhat was in contact with Farooq Ahmad Bhat, district commander of Hizbul Mujahideen in Kulgam, said Sinha, adding he was arrested on basis of CCTV footage and testimony by eyewitnesses. During questioning Bhat said he had procured the grenade from Farooq in Kulgam and reached Jammu on Thursday morning. The condition of four injured people is “critical” and two of them were operated upon by doctors. The injured included 11 residents of Kashmir, two from Bihar, and one each from Chattisgarh and Haryana, officials said. Eyewitness said the terrorist lobbed a grenade while passing through the general bus stand area where several buses were parked. Due to impact of the blast, window panes of several parked buses and shops were shattered. Majority of injured received splinter injuries in their abdomen and chest, said police, adding that the deceased has been identified as Mohammad Sharik. He was among 33 people brought to the hospital. He succumbed to splinter injuries in the chest, police said. A high alert was sounded in Jammu immediately after the grenade strike, which is believed to be aimed at disturbing the communal harmony in the region. This is the third attack on Jammu bus stand since May 2018. “Obviously the intention is always to disturb the communal harmony and peace,” the IGP said and requested the people to maintain calm. The blast site along BC Road was sealed off by police and a massive hunt was launched to nab the attacker, the IGP who rushed to the spot. Earlier, a police post on the bus stand premises was targeted by suspected terrorists on December 29, 2018. Three people, including two policemen, were injured in a similar grenade attack on May 24, 2018. Senior State Government officers, including Chief Secretary BVR Subrahmanyam, Advisor to the Governor K Vijay Kumar, visited the grenade attack location at bus stand. 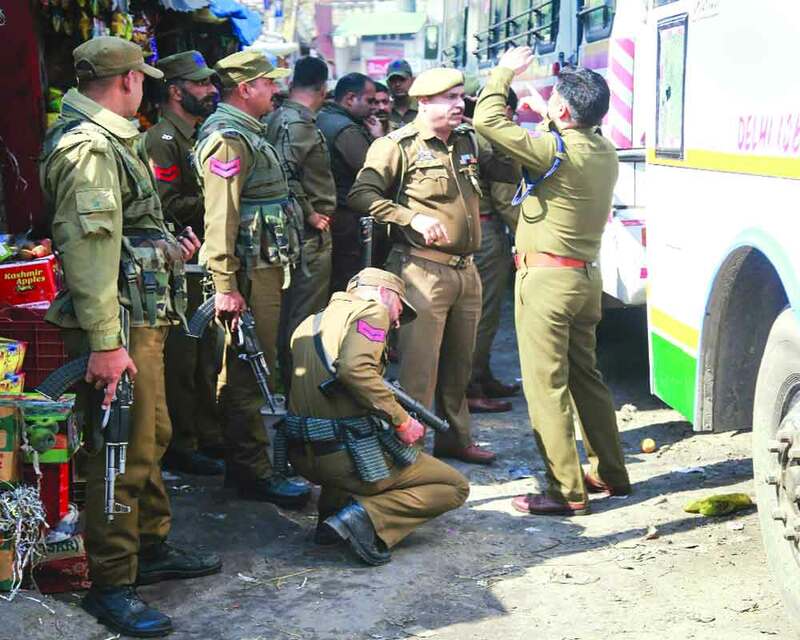 Several political parties in the State condemned the grenade strike at Jammu bus stand and urged the Government to ensure foolproof security arrangements.